This title tells the story of the birth of Jesus and the events surrounding it. The authors lead young readers through the remarkable events that took place over 2000 years ago. The authors have donated and are donating their royalties to Save the Children. A Christmas ABC by Renee Forsyth and Jeanne Griffiths was published by St Andrew Press in September 2000 and is our 51829th best seller. 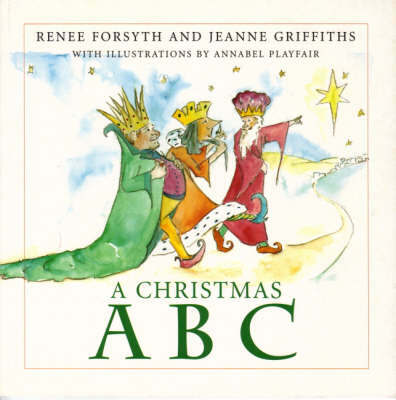 The ISBN for A Christmas ABC is 9780715207741. Be the first to review A Christmas ABC! Got a question? No problem! Just click here to ask us about A Christmas ABC.